What i'm looking for: A friendly and responsible person to share my two bedroom apartment with. You would have your own room and access to own bathroom. About the apartment: Located in a new and well-maintained apartment building in the heart of Bankstown. 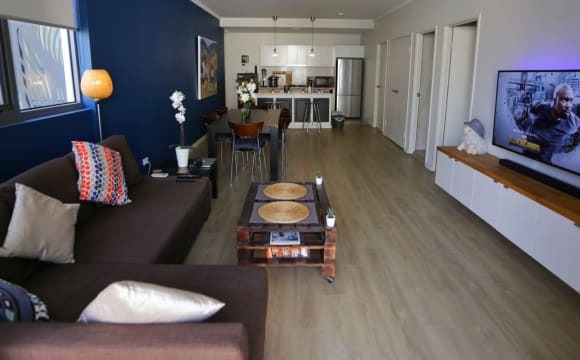 The area is safe and the apartment is secure and is within walking distance to Bankstown Central Shopping Centre, the train station, Bus Stand and Multiple coffee shops and restaurants. The apartment has 2 bedrooms and 2 bathrooms with street parking available. 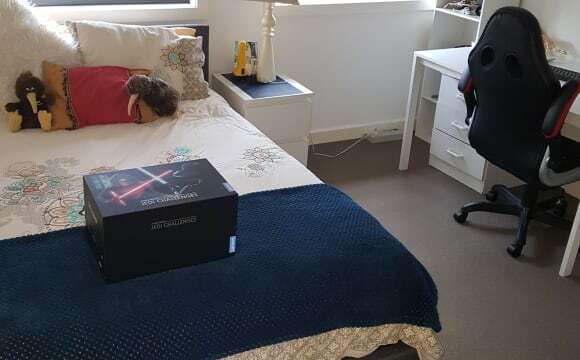 The house and the room are fully furnished. All bills are included in the rental costs. Bond and rent advance: I will require 2 weeks bond and two weeks rent in advance. Please call or text to express your interest. The room facing east. on the quiet rd. in the Bankstown central location. to shopping center and bus stop only 5 min. to train station 10 min. there are many schools around. 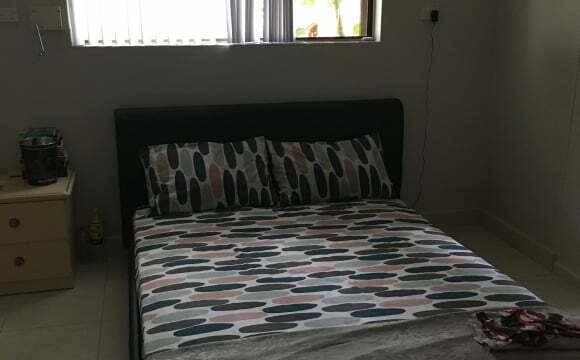 About the property We would like to invite you to share our fully renovated two bedroom apartment of a secured building located at the heart of Bankstown city. It is located on the eighth floor with 270 degree view of the Bankstown city. 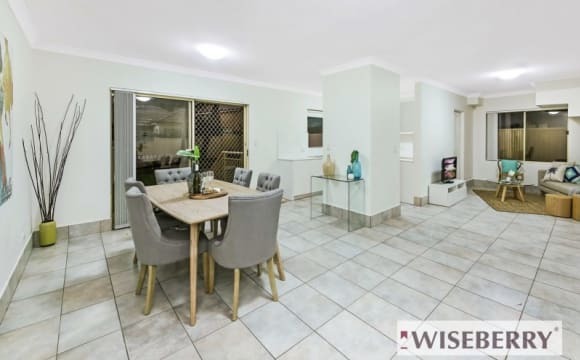 It is a minute walk to train station and buses terminal to Hurstville, Parramatta, Liverpool, Strathfield, Western Sydney University, Asian grocery shops, Sport and RSL clubs, Vietnamese eatery, cinema, park, library and Bankstown Centro. And 8 minutes walk to Little Saigon and Bankstown TAFE or bus to UWS university. 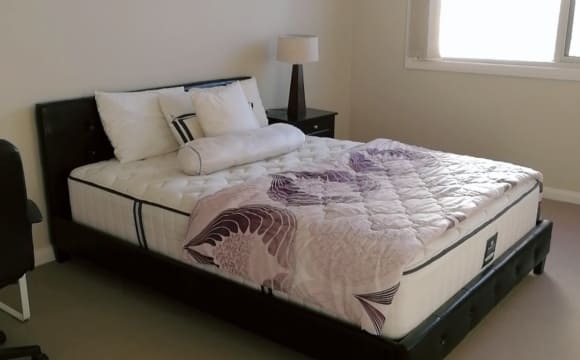 The master bedroom has newly installed walk in wardrobe with 270 degree view from the window, brand new queen bed suite with tallboy and table to relax and down time, while the second bedroom has a brand new wardrobe, double, desk and bedside table with view of Paul Keating Park. 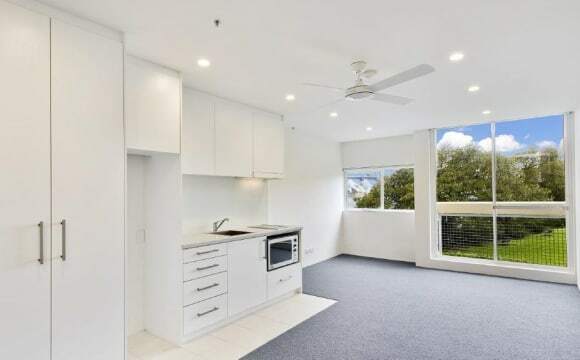 Both rooms has full length tinted glass door with new vertical blind and access to the balcony with 180 degree with various table and chairs to spread out to relax and enjoy the beautiful view of Paul Keating park and Bankstown city view. There are two desks with chairs, light and brand new TV with natural oak pine side table and coffee table, dining table with four chairs and couch in the lounge for work and relax. The lounge and dinning room have glass tinted door with new vertical blind and access to the balcony with 180 degree view of the city as well. The highlight of this apartment is the location close to public transport, the large and impressive L shaped balcony with unblocked view. The whole apartment has been freshly painted. 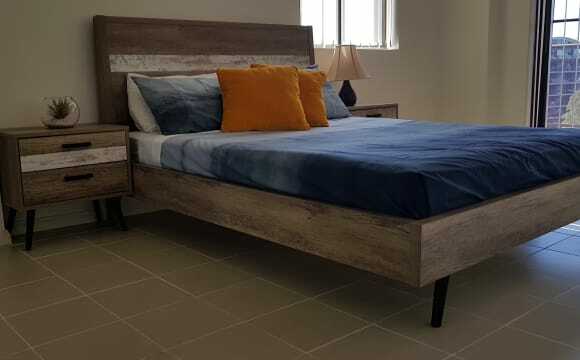 It comes with brand new kitchen with new appliances of gas cook top and an electric oven, as well as new vanity, shower head and triangle bathtub. This apartment has two separate toilets, reverse air conditioner and a large laundry with washing machine and drier. The apartment is very roomy not crowd at all. Maximum people are four NOTE: 1. Cost advertised is for single. For couple extra $50 to cover gas and electricity. 2. Wifi is included 3. Electricity and Gas are included Features: 1. Master bedroom has newly installed built in mirrored wardrobe with northwest facing with extra window for ventilation and full length glassed door with brand new vertical blinds. 2. Second bedroom has a brand new built in mirrored wardrobe with full length glassed door with brand new vertical blinds. 3. 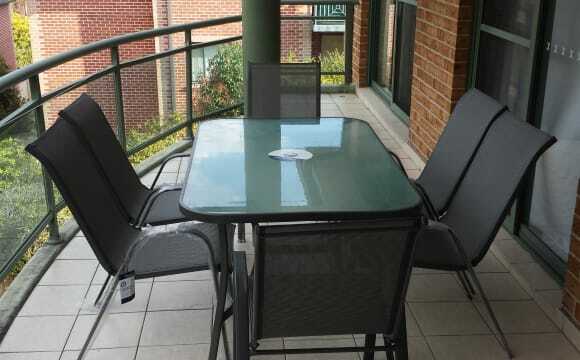 Both bedrooms has full access to L shaped balcony with 270 view of Bankstown City and Paul Keating Park. 4. Brand new kitchen with new gas stove and electric oven 5. Tiles throughout the apartment with reverse air conditioner in each room 6. Spacious Living and dining area with 180 degree access to L shaped balcony. 7. Large bathroom with new vanity and triangle bathtub and shower head. 8. Large internal laundry with extra toilet 9. Secured carpark in basement of the building 10. Locations and large balcony is what will take your breath away when you live here. House Rule: 1. No party or pet 2. Treat the apartment with respect 3. Clean and tidy up your mess 4. Break it replace it 5. Regular inspection Have a happy stay in our love apartment. 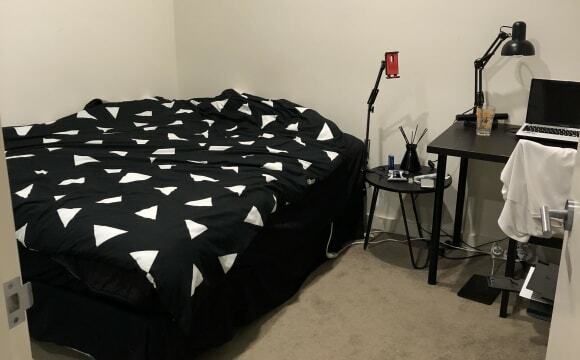 We are looking for professionals, fulltime worker or university student to rent our love apartment located just one minute walk to Bankstown station Fully renovated two bedrooms apartment located on the eighth floor with 270 degree view of the Bankstown city. Buses terminal to UWS university, Parramatta, Hurstville, Liverpool and Strathfield. Few minutes walk to bus depot, sport and RSL clubs, asian grocery shops, cinema, park, library. local primary and high schools, and shopping centre. And 8 mins walk to little Saigon and Bankstown TAFE. The master bedroom has newly installed walk in wardrobe with 270 degree view from the windows, brand new queen bed suite with tallboy and table to relax during down time, while the second bedroom has a brand new wardrobe, double bed, desk with chair and bedside table with view of Paul Keating Park. 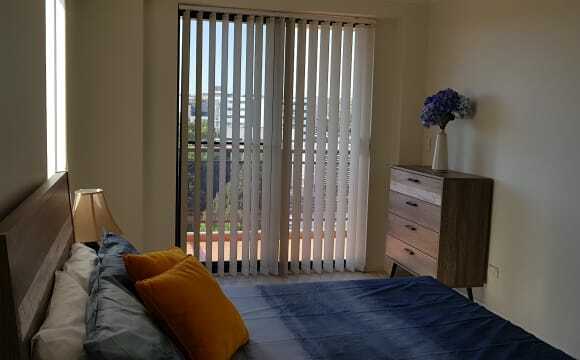 Both rooms has full length tinted glass door with new vertical blind and access to the balcony with 180 degree with various tables and chairs to relax and enjoy the beautiful view of Paul Keating park and Bankstown city view. There are two desks with chair, light and brand new TV with natural oak pine side table and coffee table, dining table with four chairs and couch in the lounge for work and relax. The lounge and dining room have glass tinted door with new vertical blind and access to the balcony with 180 degree view of the city as well. 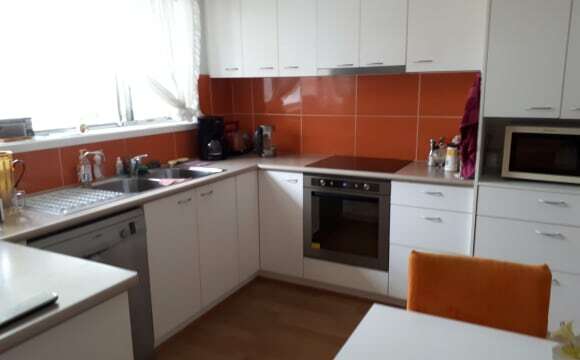 The highlight of this apartment is the location close to the station, large and impressive L shaped balcony with unblocked view and brand new kitchen. Maximum four people will be living in freshly painted apartment.. It comes with brand new kitchen with new appliances of gas cook top and an electric oven, as well as new vanity, shower head and triangle bathtub. This apartment has two separate toilets, reverse air conditioner and a large laundry with washing machine and drier. Rent cover electricity, water and internet. 3 bedroom clad home located in quiet street in Greenacre, with separate lounge room, kitchen and bathroom with In ground pool. Our household has friendly nonintrusive atmosphere, cultured and corteous. There are no other rules other that common courtesy and common sense, basic cleanliness. 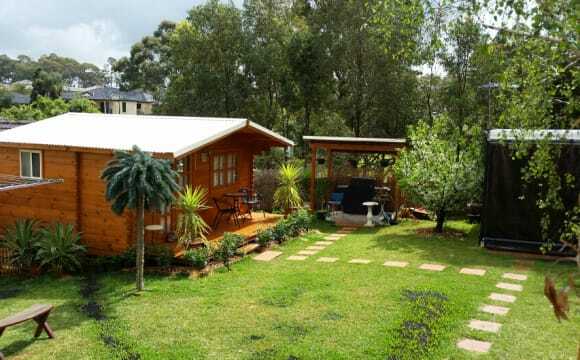 We are located in a private battle axe block and are surrounded by green oasis with natuve birds. Our pet is our friendly golden retreiver(well trained to obay basic commands) We have a bbq as well as spne gym equipment under a huge and I mean huge)))pergola. This place is an oasis where is green and quiet as we are in a battle axe block, we do not hear traffic noise. There is a garden anyone can use for relaxing ir bbq. Kitchen is a centre of the action and lots if fun and socializing. There is privacy as we respect one another in that. We enjoy occasional game or two in the living room socializing or news watching. There is pergola for common use and bbq. There is some exercise equipment like weights. Kitchen is equipped and has a bench top eating space(2spaces) as well as a large table which accomodation 6people.